Why is evaluating information important? ...decide whether you should use the information you find during research. This can be a challenging decision to make! These areas of evaluation are discussed in detail in the following tabs. As you evaluate sources, keep in mind that the credibility, authority and reliability of a source often depends on the context of your research. In other words, it depends on the type of information you are looking for and the reason you are looking for it. 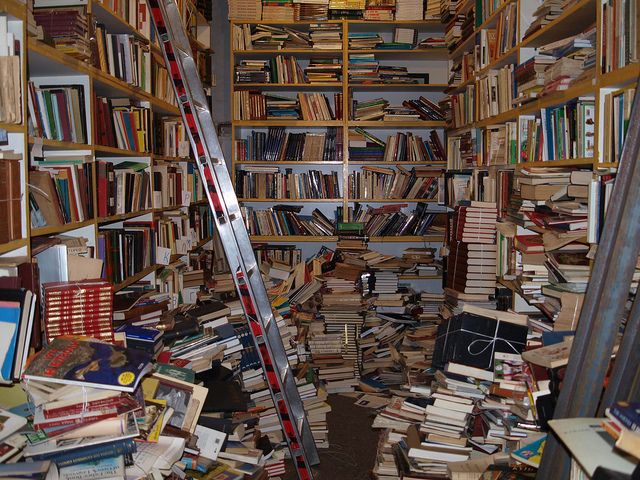 Image Source: Used Book Store by Linmtheu in the public domain .